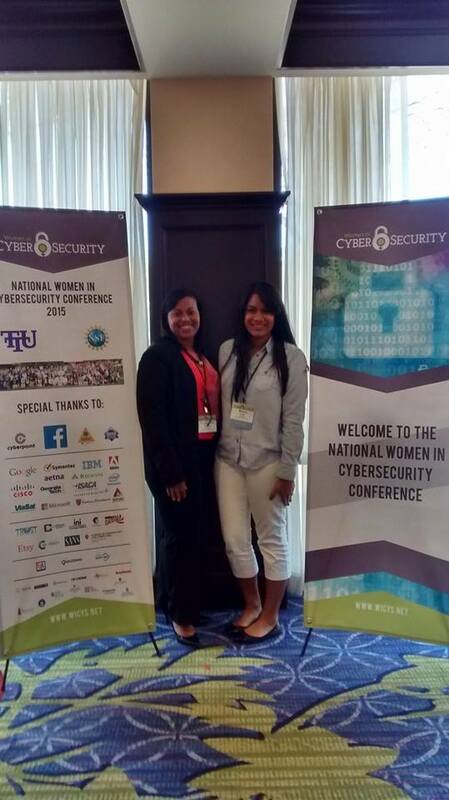 The UPR-RP students Bianca Colón and Mariecarmen Reynoso attended the 2nd Women in Cybersecurity (WiCyS) Conference held at the Atlanta Marriot Hotel from March 27 to March 28 2015 in Atlanta Georgia. Mariecarmen and Bianca attending the WiCyS conference. 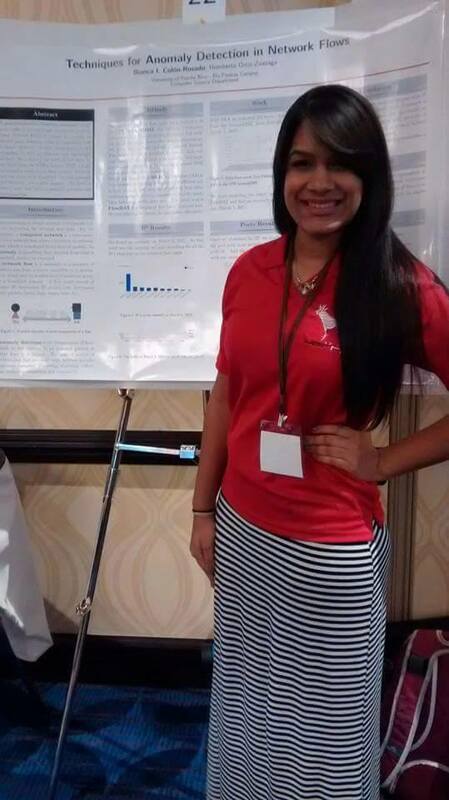 Bianca Colón is presenting a poster of her work: Techniques for Anomaly Detection in Network Flows that she is performing under the supervision of Dr. Humberto Ortiz-Zuazaga. Abstract: Techniques for Anomaly Detection in Network Flows: A general method for detecting anomalies in network traffic is an important unresolved problem. Using Network Flows it should be possible to observe most anomaly types by inspecting traffic flows. However, to date, researchers are still struggling to find an effective and lightweight method. The WiCyS conference bring together women (students/faculty/researchers/professionals) in cybersecurity from academia, research and industry for sharing of knowledge/experience, networking and mentoring. The conference is sponsored by the National Science Foundation under award #1303441. The goal of the WiCyS community and activities is to raise awareness about the importance and nature of cybersecurity career, and to increase the women’s representation in the male-dominated field of security.